Officer Millie Beitel succumbed to injuries sustained the previous day in a single vehicle accident. He and his partner were traveling through an intersection when the driver of another vehicle pulled into their path. The driver of the patrol car took evasive actions, but the vehicle went out of control and crashed. Both officers were transported to University Medical Center in serious condition. Officer Beitel succumbed to his injuries several hours later. 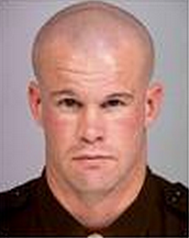 Officer Beitel had served with the Las Vegas Metropolitan Police Department for five years. He is survived by his parents and younger brother.